In late December 1980, a series of reported UFO sightings and unexplained lights occurred in the Rendlesham Forest, Suffolk, England. 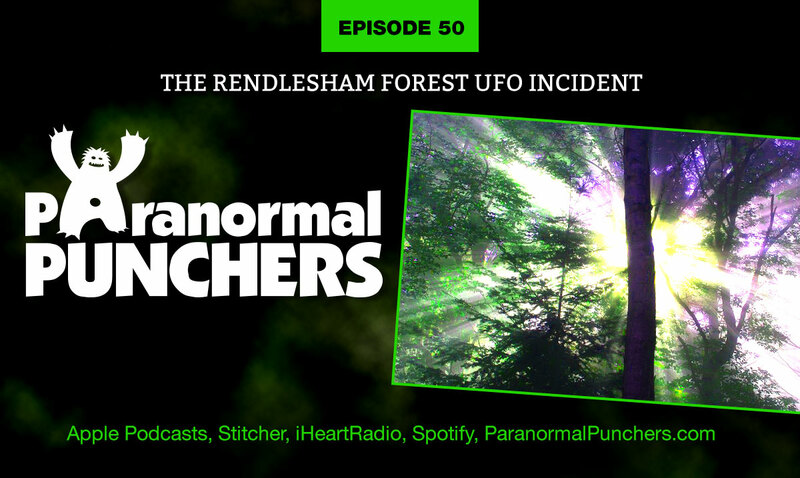 Because of the amount of credible witnesses, and the wide variety of supporting evidence, including a real-time tape recording on one of the nights, the Rendlesham Forest UFO Incident is considered to be Britain’s Roswell. On December 26th, three men left the Woodbridge USAF base that skirted the Rendlesham Forest to investigate a possible downed plane, but found a much more curious sight before them. Staff Sergeant Jim Penniston found a black triangle-shaped large object that had landed in the forest and was able to take photos and notes on it, before actually touching it! On the second night, the lights returned, and the Base Deputy Commander, Lieutenant Colonel Charles Halt, went out with some men with the express aim of debunking the whole thing. He captured an audio tape of what him and his men witnessed that night. The government chalked these two nights up to seeing lights from a nearby lighthouse, but between the object caught on radar, the 10x higher than normal radiation readings at the landing sight, the Halt recording and the numerous military witnesses, this couldn’t possibly be. Join us as we discuss this very interesting UFO encounter!